Since the recent listing of the tombola coin on centralized and decentralized exchange like forkDelta and IDAX exchange, the team has made all efforts to reward her loyalists and push the project to the moon. 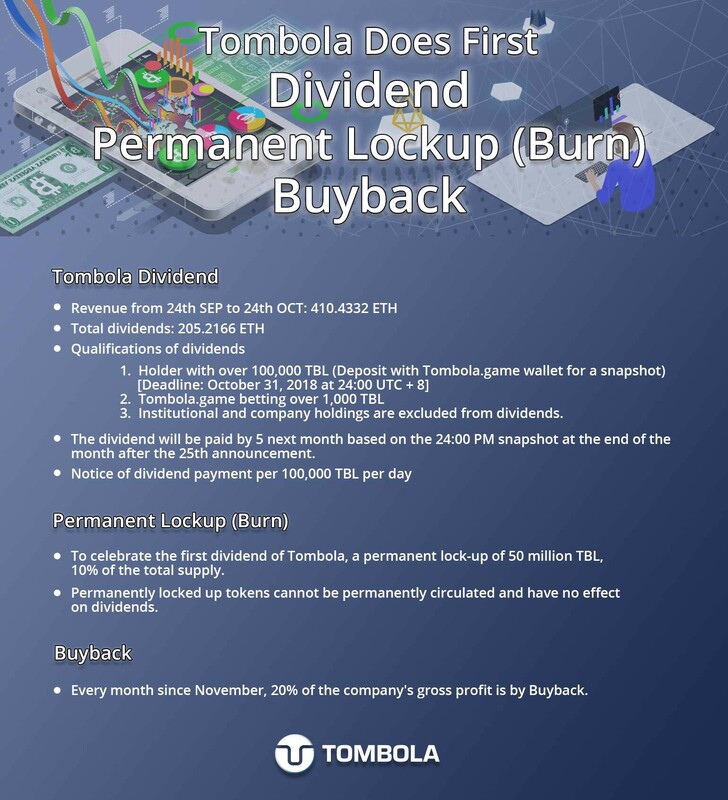 In a bid to do this, Tombola is ready to share its dividends, permanent lockup (burn) and buyback to investors who have expressed belief and faith in this project. This infographic speaks volume on the allocation of tokens for dividends, permanent lockup (burn) and buyback respectively. The first Cryptocurrency Lottery and Gambling platform based on EOS. Fair and fun, but no gas spending.